On The Mic Training’s main studio is a 650 square foot purpose built recording space boasting a huge control room and a studio space that can fit up to 10 microphones or a full band. 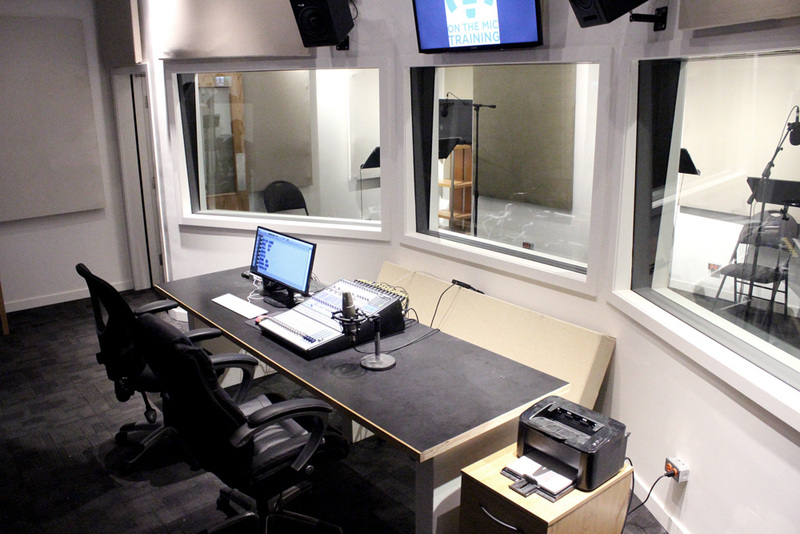 The studio is equipped to handle Voice-over recording for prelay, dubbing, audio books, narration, and commercials. We are also open for music and singing recordings. The Engineer is included in the booking price.